Our Potain IGO50 at Hadley Wood finished up on its last project just before Christmas and returned to our depot in Northampton ahead of the next hire. The Self Erecting Tower Crane had been on site since June 2016, having initially gone on site for a 35-week hire period. The construction project was a residential development to complete two luxury homes. 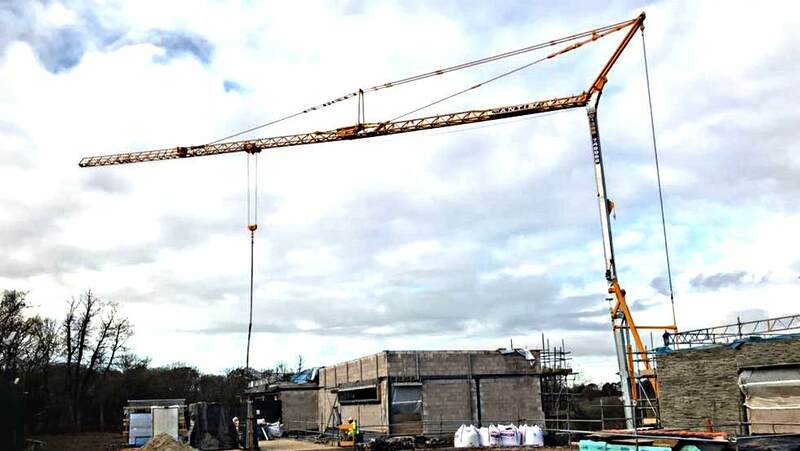 Following a safety inspection and service the Pedestrian Operated Tower Crane will be out on site again soon as this model of crane, with a 40m jib, is one of the most popular on our Tower Crane Hire Fleet.